At ThriftStoreWebsites.Com we value the opinion of our customers. Please take a minute to fill out our report card, and let us know how we can improve our services. 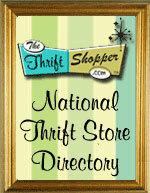 Are you a current or former member of ThriftStoreWebsites.Com? How was your experience with our support team? Was our support team kind and courteous? Name one area that you would like to see us improve in? Is there something you would like to see us add to our tutorials section, on our Help Site?